Applying eyelash extensions can be a challenging task. Yet, you know the difference they can make to your appearance and how confident and beautiful they make you feel. Eyelash extensions eliminate the need to spend time on eyelashes every morning. For years, Nova Lash has been making women look beautiful. When applied by a professional, you can stop worrying about the damage to your eyes or your natural eyelashes that the extensions might make. At Advanced Aesthetics of Northern Colorado, we can help you look your best using these award-winning eyelash extensions. Nova Lash has a wide range of lashes to suit women to suit your personal taste; whether you’re looking at adding volume to your natural lashes to going with something a bit more exciting, we can discuss your options. Nova Lash extensions are also available in different colors, lengths, and thicknesses. The eyelash extension procedure is in no way painful and does not take very long. In fact, you will probably fall asleep during the procedure; that’s how relaxing the process is. What’s more, you will love the outcome. Whether you are a regular or you are going through the procedure for the first time, Advanced Aesthetics of Northern Colorado is confident your experience will be second to none. For over five years, we have been making women’s eyes look beautiful all across Fort Collins; we take each application as a work of art that must be finished to perfection. 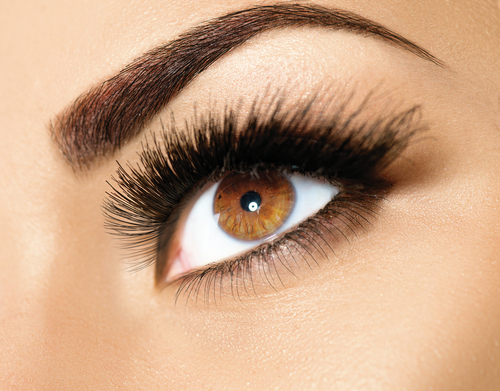 Our stylists are also available to refill your eyelash extensions; typically, it takes less than one hour. Contact the experienced aestheticians at Advanced Aesthetics of Northern Colorado to set up your consultation today.